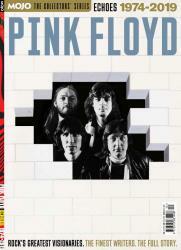 First revealed in February, and a reminder to you last month as sales of the publication have been extremely healthy (and it proved a struggle for a number of you to track one down in stores), the first part, known as Edition 1, of MOJO magazine's two-part Pink Floyd special collectors' edition is still available online in limited quantities, so don't delay. Housed in a gatefold card sleeve, with a mirrored prism on the front, and Atom Heart Mother's Lulubelle III pictured on the inside when opened up, the magazine covers the early period in the band's history: 1965-1973. The good news for those who have been patiently waiting for part two, is that (from today) this second half can be found in UK stores now, while stocks last, or online naturally, and picks up where Pink Floyd Edition One: Echoes 1965-1973 left off. In Pink Floyd Edition Two: Echoes 1974-2019, the MOJO team covers the triumphant Wish You Were Here, the making of Animals and its flying-pig artwork, and deconstructs The Wall – brick by brick. They revisit Pink Floyd's Live 8 reunion, their surprise return to the studio with The Endless River, and pay tribute to Syd Barrett and Richard Wright. Bringing things right up to date, the magazine also goes "Flying high with Nick Mason's Saucers". Plus, among many classic, rare and previously unseen images, they've reprinted the Floyd's amazing hand-drawn 1974 UK Winter Tour programme in its entirety. 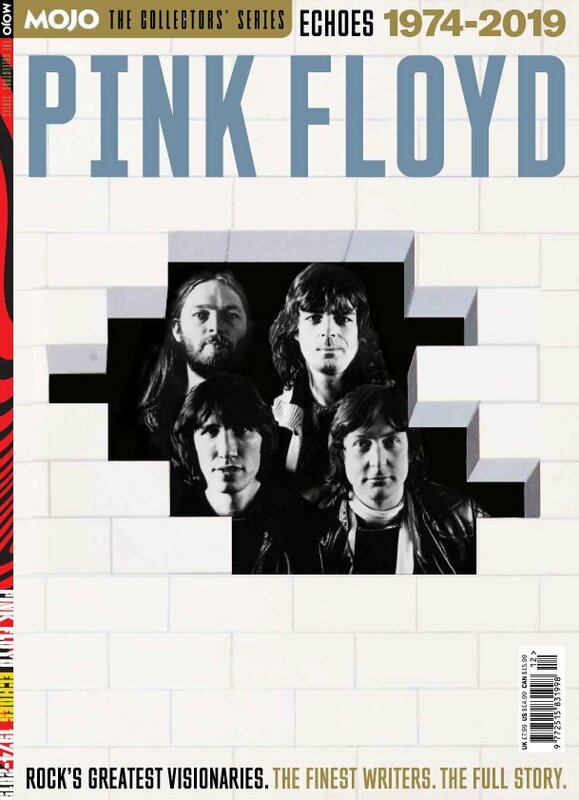 The editor, Mark Blake (he of the excellent Pigs Might Fly biography of the band) has put together the pair of 132 page magazines in part to tie in with the current tour of Nick Mason's Saucerful Of Secrets that began last month in Vancouver. The publications pull together interviews and articles printed over the many years of MOJO magazine, and accompany them with many rare and previously unseen images of the band, to help trace the journey from the band's first steps, through to the present day. There were certainly a healthy number of pictures which I'd not seen before, and refreshingly for a special publication such as this, there is no advertising within its pages to artificially inflate the page count. Both parts should be worthwhile purchases for Floyd fans, providing plenty to read, and lots of visual entertainment too.